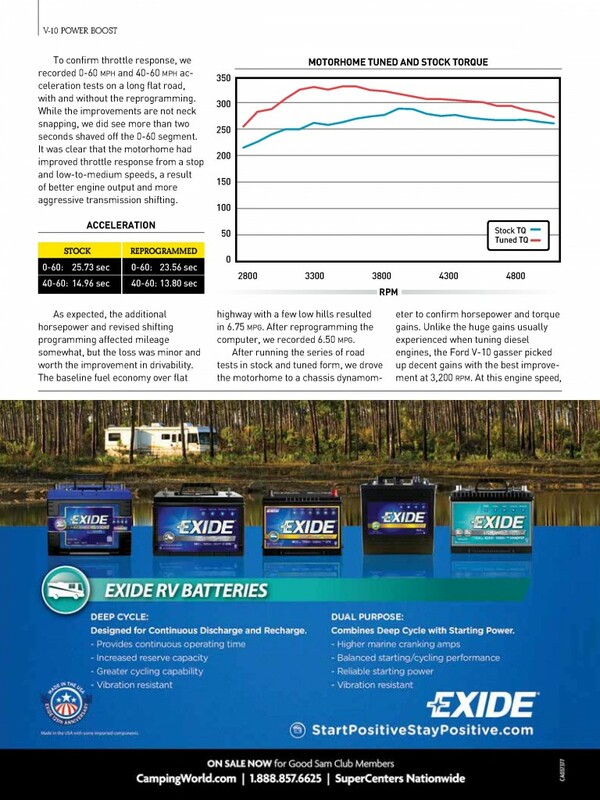 MotorHome Magazine 2012, 2013, 2014, 2015, 2016, 2017 & 2018 Reader’s Choice Award Winner! This product is not legal for sale or use in California on pollution controlled motor vehicles. Thus, this product will not ship to addresses in California due to state regulations. This is applicable for 6.8L applications only. 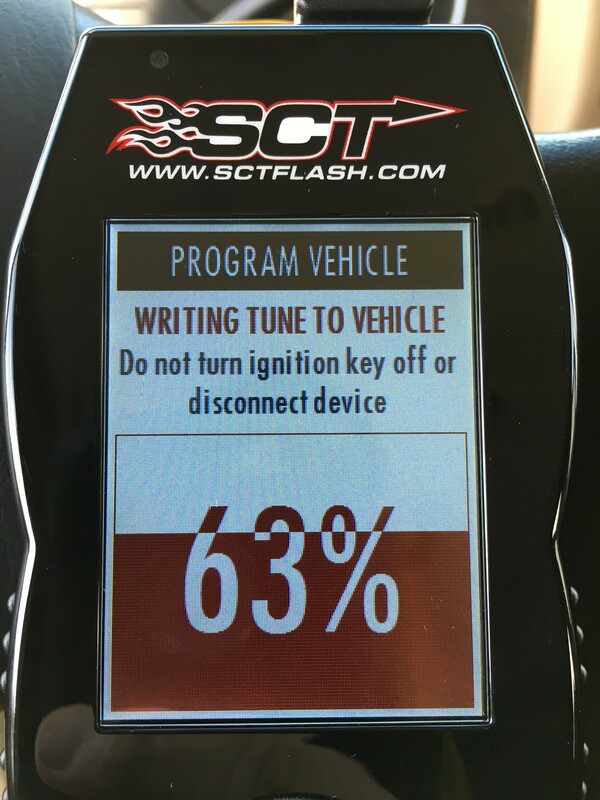 Why Tune My Vehicle? From the factory, your vehicle’s computer is calibrated for the masses, designed with the average driver in mind, not the performance enthusiast. This not only leaves valuable horsepower & torque hidden inside your vehicle but it also makes for a mediocre driving experience. 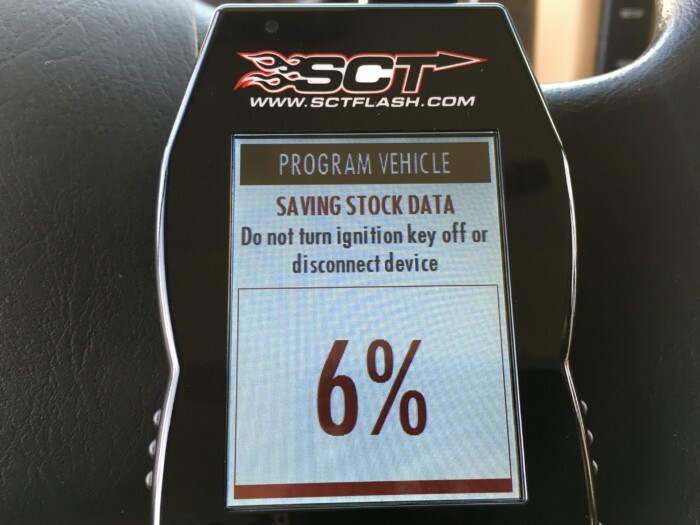 Our tuners unlock your vehicle’s hidden performance by re-calibrating your vehicle’s PCM for maximum horsepower & torque, increase throttle response, clean shift points, increased efficiency and the best driving experience possible. More Performance & Less Downshifting! 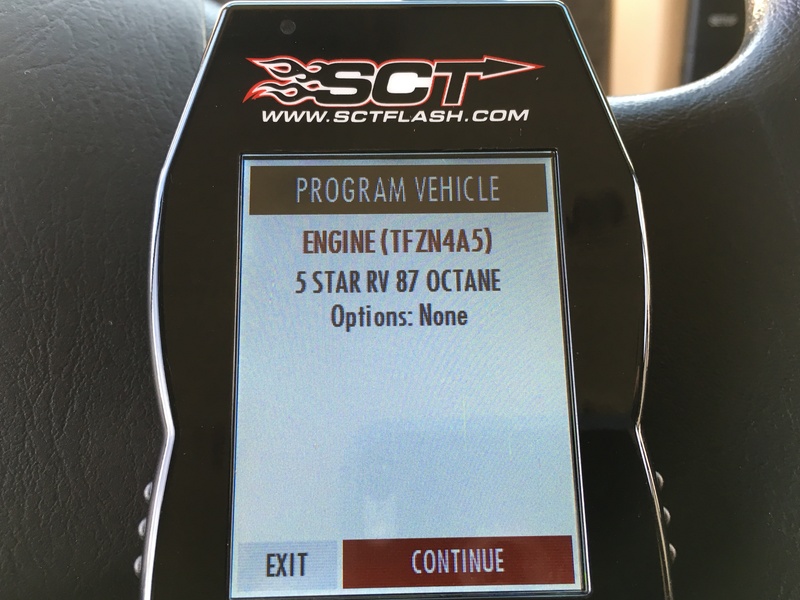 5 Star Tuning’s Custom Dyno Proven UP to 42 HP & 75 TQ tune files on our 3V 6.8L Tiffin optimize the vehicle’s Air/Fuel Ratio, Engine Timing & Fuel Curves for Maximum Performance, Improved Shifting without the High Revving headaches all while maintaining OEM reliability. 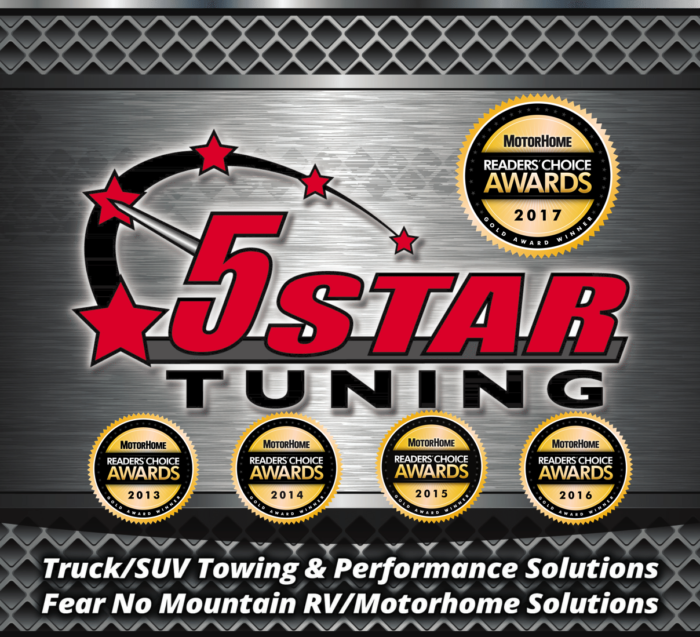 Why 5 Star Tuning? We are your industry leader in Ford and GM truck, car, SUV and motorhome tuning. We create and offer the most refined tunes on the market for your application. Rather than offering you a one-size fits all approach we custom tailor all of your tunes to your specific needs. These needs can be more power, more torque, tuning for your current or future modifications or simply getting the best driving experience from your vehicle. In addition to our refined approach to tuning vehicle, we ensure your vehicle’s reliability will never be compromised. Accolades: MotorHome Magazine 2012, 2013, 2014, 2015, 2016, 2017 & 2018 Reader’s Choice Award Winner! Free Tunes for Life! Have you added a new mod to your truck, car, SUV or motorhome and wish to maximize your application’s performance? For all of our Tunes for Life members, these modifications are free for the life of your vehicle while you own it. This will ensure that your vehicle run properly with our dyno and street tested tunes give you the most horsepower, torque and most efficient performance possible with your newest addition. For more information on what qualifies for free tune upgrades visit https://5startuning.com//free-tunes-life/. Want More Performance? 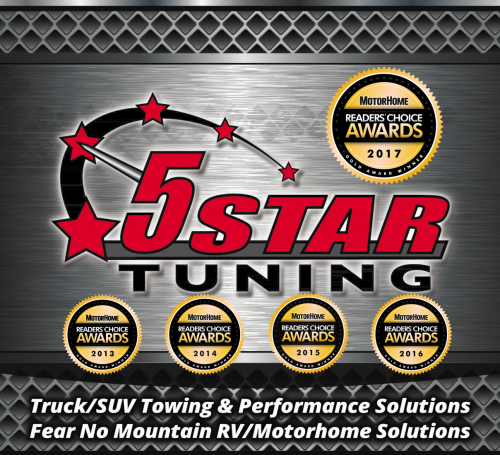 A 5 Star Tuning Custom will dramatically improve your drivability, horsepower, torque, throttle response, efficiency, and towing capacity. Eliminate your factory speed limiter, sluggish throttle, sloppy shifts and lackadaisical nature of your vehicle. What Can My Device Do? For starters, your device is extremely versatile. In addition to being your flash programmer, it can perform many other functions. 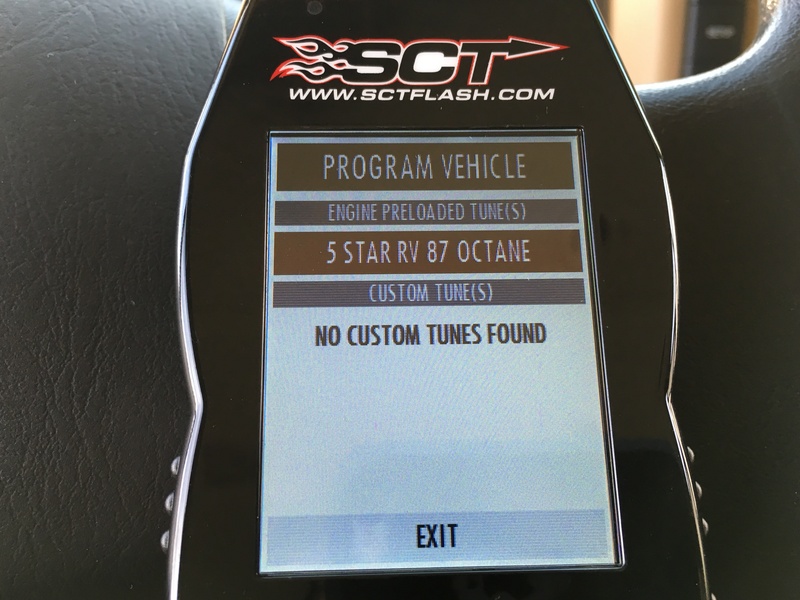 It can easily load store up to 10 of your 5 Star Tuning custom tunes. 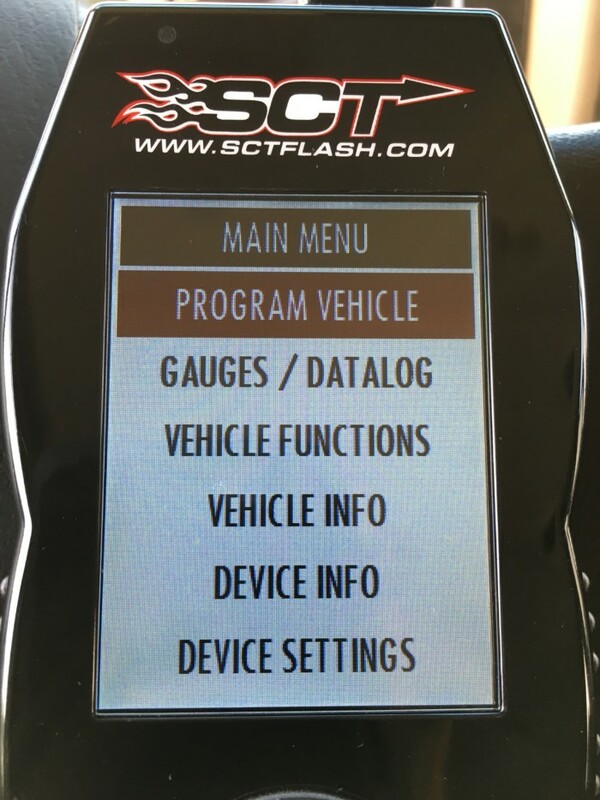 Your device can also be used to monitor your vehicle engine parameters. (Parameters can range from engine RPM, Speed, Coolant Temperatures and many more). 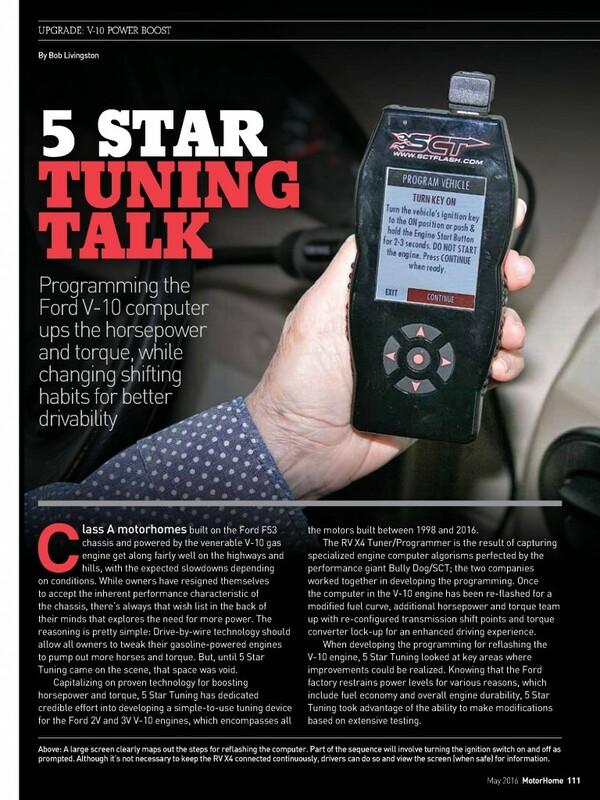 The tuner can also be used to datalog your vehicle to further dial in current or future modifications. 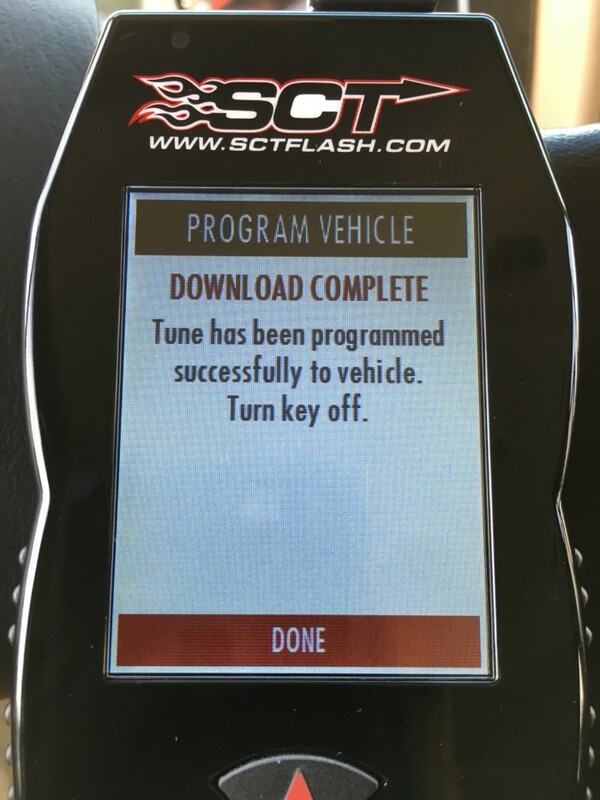 Your flash programmer will also store a copy of your factory tune and your vehicle can be returned to stock at anytime. Which Tunes Are Available For My Application? No matter if your coach is stock or heavily modified, our 87 RV Daily Tow tune is the perfect match for your application. 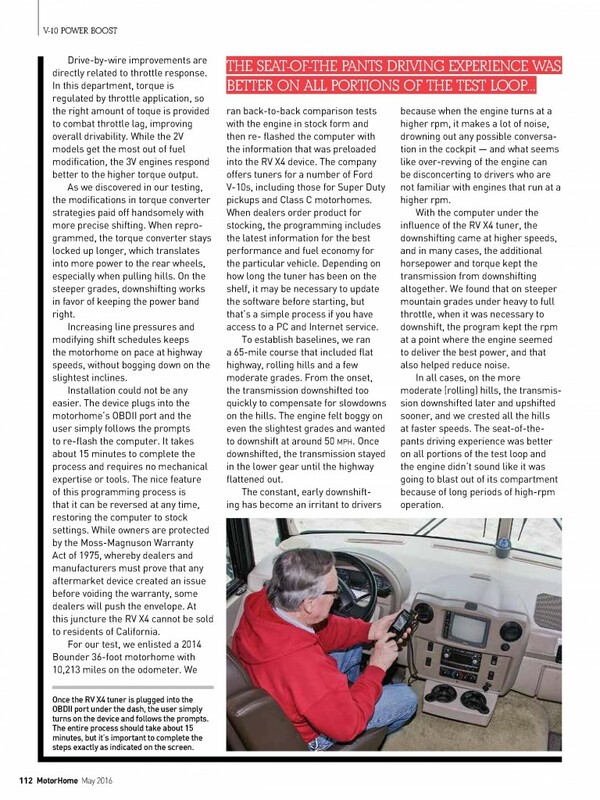 For 1996-2019 6.8L applications your tune will be preloaded onto the device prior to shipping. Do I Need A Shop To Install? The installation process of the tuner is simple and can be performed by anyone. No tools are required for the installation and the entire process takes 8-10 minutes. Note: SCT’s software is only compatible with Microsoft’s Windows operating systems. 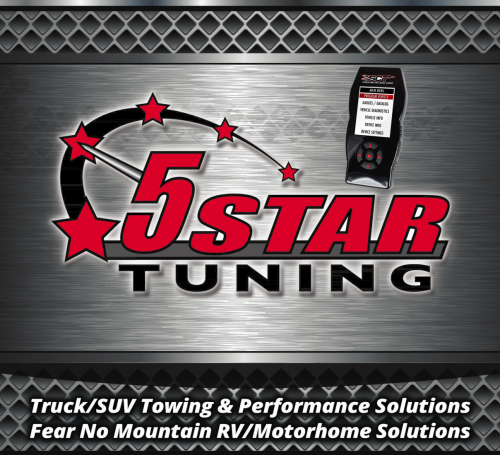 The Fast Lane Truck reviews our RV and 5 Star Tune! 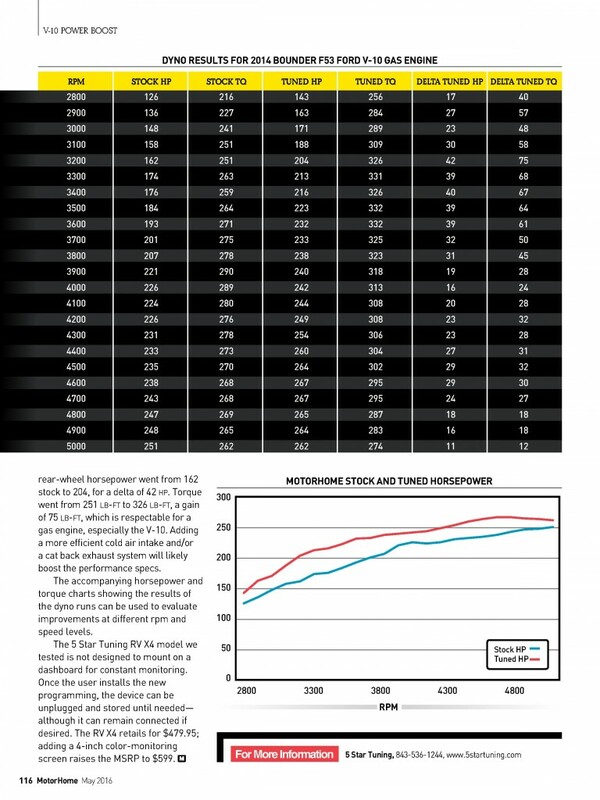 See What the 5 Star Tune does for your Downshifting! Talk about happy campers! 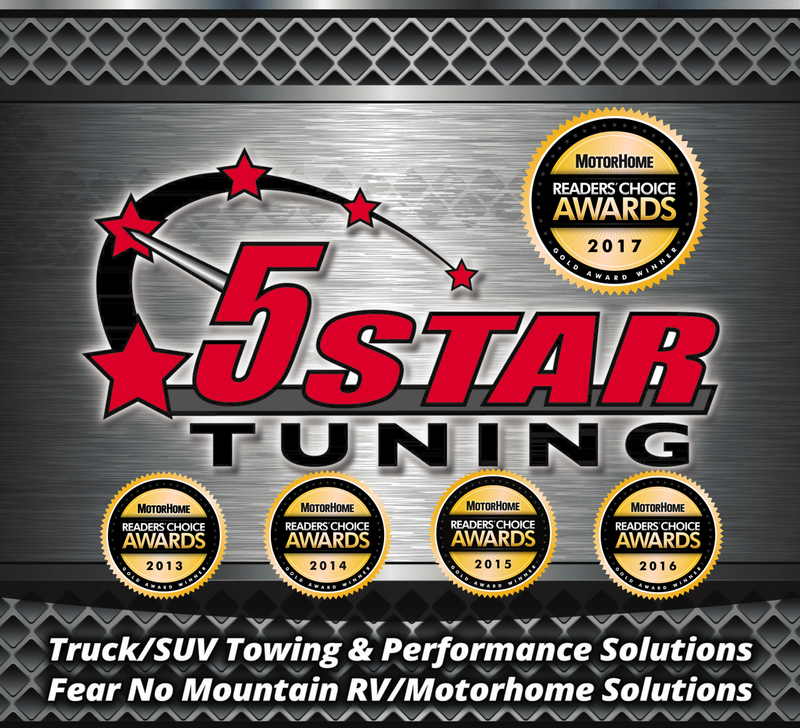 We purchased and installed the 5 Star Tuning for our Ford V10 in our 2016 Miramar 34.1 last Sunday. Installation was a breeze! Hubby drove it for the first time yesterday and what a difference. Acceleration improved, transmission shifted smoothly and did not labor, and OMG…it was quieter! One issue is the right lead foot on my darling husband…he didn’t realize how much the speed increases more quickly. Thank you 5 Star!